Apriori Beauty has different products for preventing aging beneath the skin and reducing the signs of aging on top of the skin. What these products have in common is a passion for innovation and real science that backs them up. If you use and Love a product, you will naturally Share it with others. Apriori Beauty is all about Use Love Share™ — Using great products that you Love, Sharing them with others and getting rewarded for it! Anti-aging products are everywhere in the market today, but more consumers are catching on to one big secret: the most effective products are not those sold off the dusty shelves of the local supermarket! While it used to be that many people purchased beauty products as they shopped for that evening’s dinner, it also used to be that most people were content to age gracefully and embrace wrinkled skin. Things have changed. And because of that, today we have Apriori Beauty! Apriori Beauty, on the market since 2009, is one of the newest and most promising product lines. Going beyond simple lotions and creams to unique and highly effective products which aim to do much more than simply lighten lines. Apriori Beauty takes an innovative approach to beauty by combining real science with the real needs and expectations of women today. Using the most advanced anti-aging technologies to deliver results while still adhering to strict guidelines for ingredient safety and quality. No longer content to just accept fading beauty, Apriori Beauty is there to ensure we don’t have to! Today’s woman gets double the power with this product line because it combats the problem of aging from the inside out. For the skins outer appearance, expect a great reduction in the appearance of lines, wrinkles, and other imperfections that come about with age. It’s true that some of these problems are a natural part of living a long life, but just as many are caused by the stress and toxic environment that we live in today. Either way, Apriori Beauty products are aimed at drastically attacking the visible signs of aging. This is where the Apriori Beauty product line really parts from the cheap products you pick up at the grocery store. Rather than just tackling the outward symptoms of aging, these products work inside the body to prevent them from actually forming to begin with. Already have some signs of aging? If you don't take action with high quality products and proper nutrition - there will be more to come. The best way to take advantage of the science that is now able to prevent the signs of aging is to start young. Many young women are well aware of this and are embracing the highly effective results offered by Apriori Beauty products. Apriori Beauty parts from the typical anti-aging products seen in the store in terms of ingredients. Everything included in the products is absolutely necessary and avoids toxins that can have a negative impact on the skin with consistent use. For example, they completely do away with paraben preservatives used in many other products. 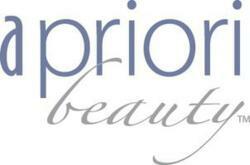 Apriori Beauty is a company created for women, by women with a mission to help as many people as possible look and feel beautiful with the purest, most-natural and most- innovative products and opportunity. To learn more about Apriori Beauty, visit http://www.useloveshare.com/youthful.